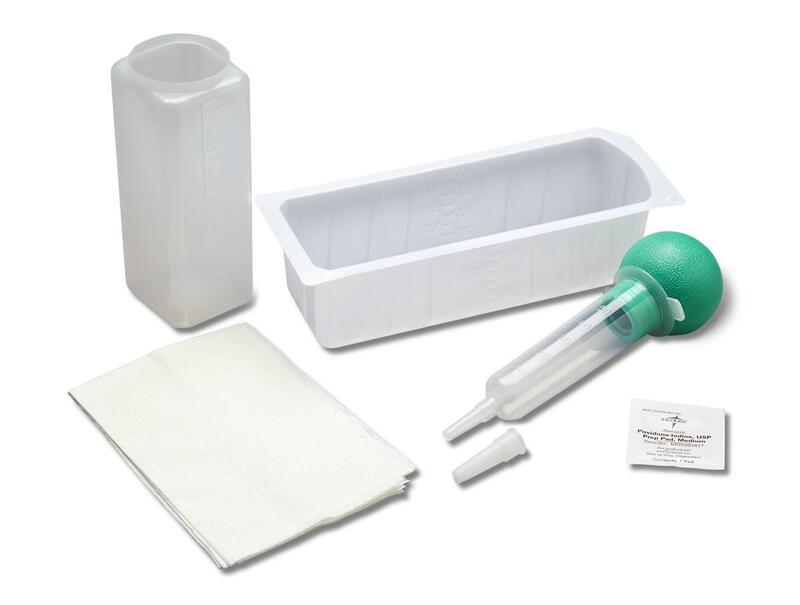 The syringe features a soft, pliable bulb for maximum control of drawn or expelled volume. Easy to grip and use with only one hand, the Control-Bulb is designed to stand on end, making it excellent for use in clinical settings. Choose from two trays: Rigid Tray, Alcohol Pad, Sq. Jar, Drape and Tyvek® Lidding; or Rigid Tray, Iodophor Pad, Sq. Jar, Drape and CSR Wrapping.